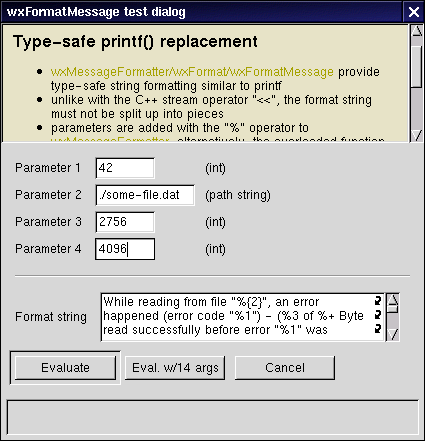 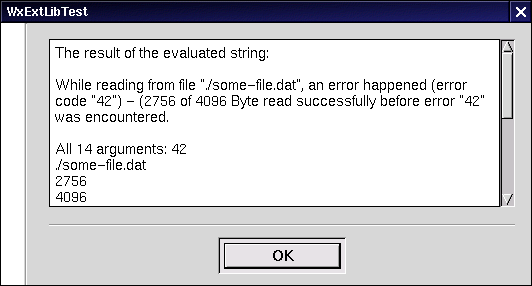 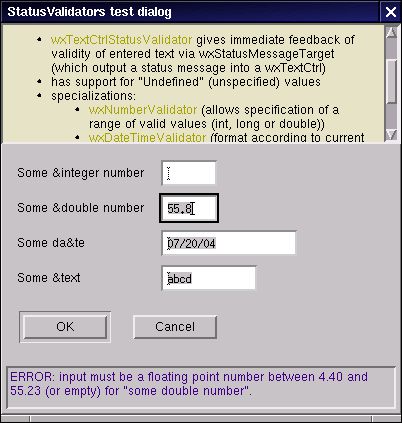 wxMessageExtDialog in text-mode (wxMOTIF port, using Lesstif). 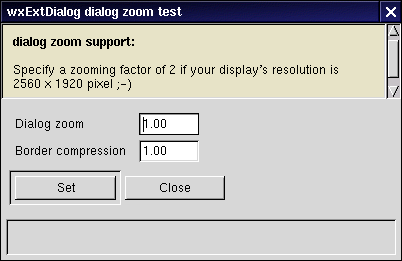 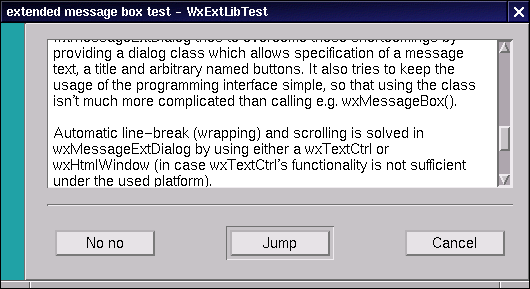 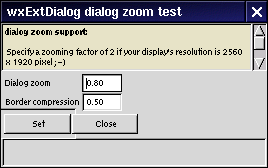 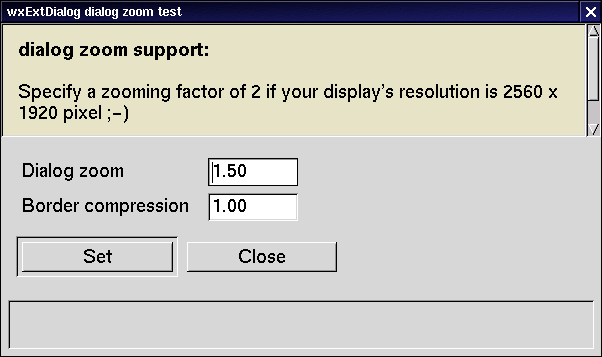 The about dialog is implemented with wxMessageExtDialog in HTML mode (wxGTK with GTK 1.2.7). 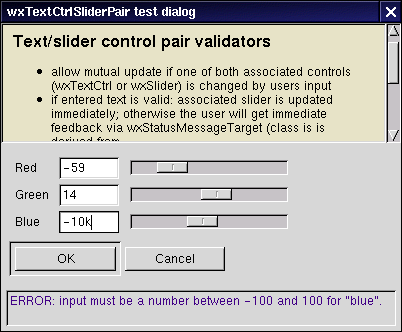 StatusValidators test dialog with a status window at the bottom of the dialog. 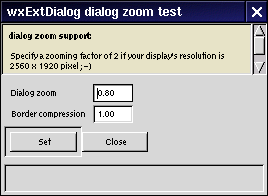 ... same as above, but with additional border compression.